PH-F200SP's nine blades with MVB feature produce powerful yet silent downdraft airflow. made possible. Packaged and priced reasonably, PH-F200SP is the right choice for a case fan upgrade. PH-F200SP is setting the new standard in performance and compatibility. 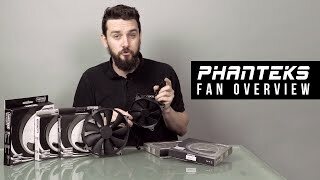 More links for "PH-F200SP Static Pressure 200mm Fan - Black"